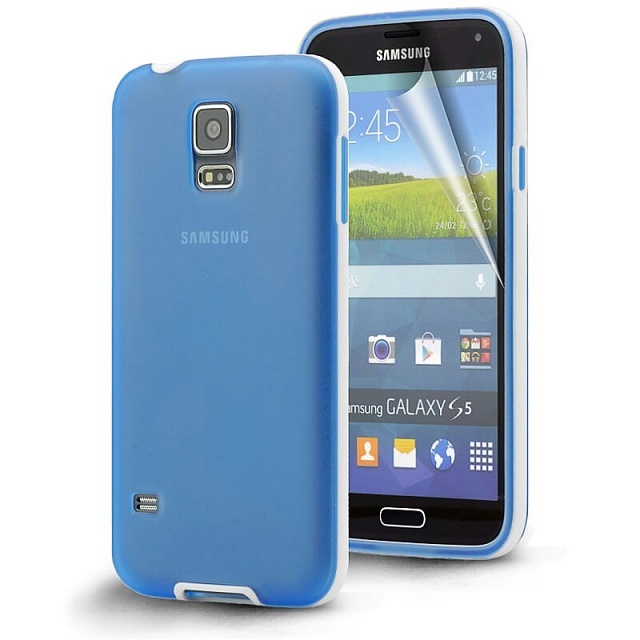 Who is still using their Galaxy S5 "naked" and why? My GS5 is still naked and I really like it that way. But I work in construction and have had a few close calls, so I guess I will be getting a case pretty soon. STARGATE and neiljay6 like this. Since I'm using an aluminum bumper. I guess I can call it semi-naked since it only protects the sides. I'm using a bumper case because I have an OEM wireless charging cover for my S5 and I find that in most cases, bumper cases is the way to go. Plus the wireless charging cover acts as a case for the back since it protects the camera. STARGATE and Gray Area like this. Not only does a case help to protect it but (for me) it also feels better and more secure in my hand. Goodness, I can't imagine working in construction and NOT having a case :o My husband works in construction. He installs carpet and wood. He can't even have a smart phone. It wouldn't last a week. He uses military grade flip phones! The dirt, dust, sweat and heat would ruin it if he didn't break the screen first. Now that the bezel got dinged, put it in the wrong pocket I'm over it. I only use my Case Mate tough Sport at work. I work in factory and figured why leave it at home. Running naked works great if you're in low risk areas but Star... You need one for your line of work. Protect that baby! I'm in heavy construction.... get a case or you will be spending money you don't have to waste. Check this one out. It is Military grade tough, but slim at the same time. Better yet, it is slip proof. Using the stock white back, I use my super thin clear case for a better grip. When I'm using my electric blue OEM back with a grippy feel, it rolls naked. I was running naked for a week, but the back seemed too slick, so I picked up a tech21 case from best buy. Its still slim enough to fit in my pocket without feeling awkward. STARGATE and acervantes329 like this. I was using a case but I picked up the wireless charging back. So now I can't use the one I have. I am using an Aluminium Bumper case from Lovemei on Ebay. I really love how it makes the phone feel, it feels like it should always have been there in a way. Also I can't see how you would ever drop your phone directly on the front or back but I have a Glass Screen Protector too which is awesome. You can get both for 10 quid on ebay. Anyone else with a bumper case find it impacts the signal at all? (I realize this will not protect from a legitimate drop, but I wanted to protect the chintzy chrome sides from scratches with small drops from my pocket). I am loving the blue so much - can't stop pulling my phone out of my pocket to look at it. STARGATE and tomothy94 like this. I know, I just happened to got my phone using my sister's upgrade. I wasn't going to do that so it ended up as a last minute thing. Which charging cover do you have, the S-View cover or the regular charging back cover? Do you have a link for the bumper you use? I want to get a bumper case but not one of those cheap crappy silicone ones. At least today I got me this. 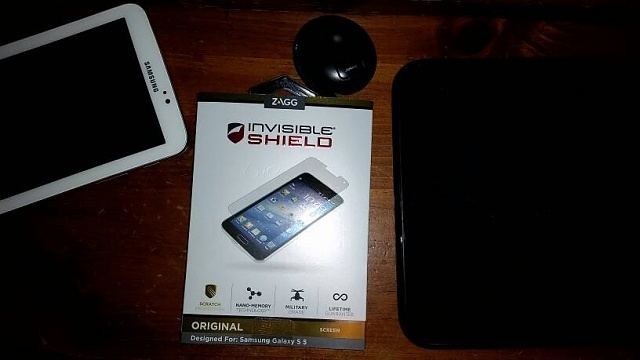 Hummm, that's not the HD version of the Zagg invisible Shield. If you're not satisfied with the screen quality, maybe they'll let you exchange it. Personally, I dislike cases for phones in general. Putting a piece of plastic over my beautiful smartphone just doesn't make any sense most of the time. I do own a case and will put it on if I am going hiking or something along those lines. I work in IT so 5 days out of the week, my phone sits at my desk unless I am on it. I did get a Zagg glass screen protector on it. Couldn't imagine going with out a case for my phone. Too many things can happen and not necessarily you being careless and dropping your phone. I've seen someones phone accidentally knocked out of their hands by someone passing next to them and even a guy at work dropping his phone due to tripping up on a carpet. And don't get me started on kids!! yessshh!! I really love the look of the s5 but I'm not willing to take the risk. Oh and it also helps when I'm looking to sell my phone. Get a good price cause it looks like brand new! You right, but for $12 at Sam's Club I think it was a good deal. I haven't install it just yet, but a coworker has it on his phone and it's still pretty good. It's there a lot of difference between the original and the HD? But like I said before; in my line of work I have to have protection for my device. I really liked the blue one there, the grey one is nice too. Where is the 32GB S5?